There is always a time to weep. But there is also a time to deal with the things we cannot change and stumble forward in the direction of hope. 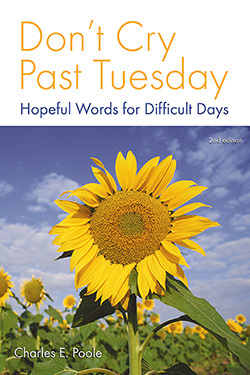 Rediscover the God of grace and the God of glory in these comforting, yet insightful, words of hope for difficult days. Charles E. Poole has touched thousands of lives as an author and minister. His following is increasing because of his talent for finding perfect, healing words when people need them the most. This, his first book, is followed by two bestselling titles, Is Life Fair? and The Tug of Home. He has also served churches in Mississippi, Washington, D.C., Georgia and North Carolina. He is a graduate of Southeastern Baptist Theological Seminary, Mercer University, and Macon College. He and his wife, Marcia, have two children, Joshua and Maria.